With growing frequency, cities, counties and municipalities around the world are struggling with an increasing volume, variety and costs of processing their municipal solid waste. Environmental regulations are drawing attention on the plight of existing landfills, already at or nearing capacity, which continue emitting dangerous pollutants and hazardous gases. Driven by challenges of urbanization and population growth, many local governments are actively seeking more sustainable and cost effective solutions for managing the growing municipal solid waste streams. Doing so can also produce tangible benefits in critical areas such as education, public health, workforce development and homelessness. 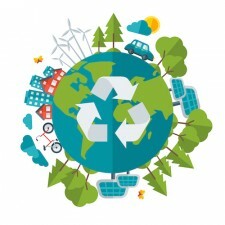 Designing a new approach to recycling woes that helps conserve resources, protect the environment, save energy and creates such jobs clearly warrants a discussion on Smarter Waste Management as a catalyst for economic recovery. What specifically is Smarter Waste Management and why has it become “top of mind” for so many governments? What value is being delivered with growing number of Public-Private-Partnerships (P3s) for diversion, conversion and waste to revenue? How can smarter waste management accelerate economic recovery? What impact is urbanization having on sustainability, citizen sentiment and environmental ethics? What are specific government trends epitomized by organizations who have successfully implemented the Smarter Waste Management approach? Can those tactics be replicated?